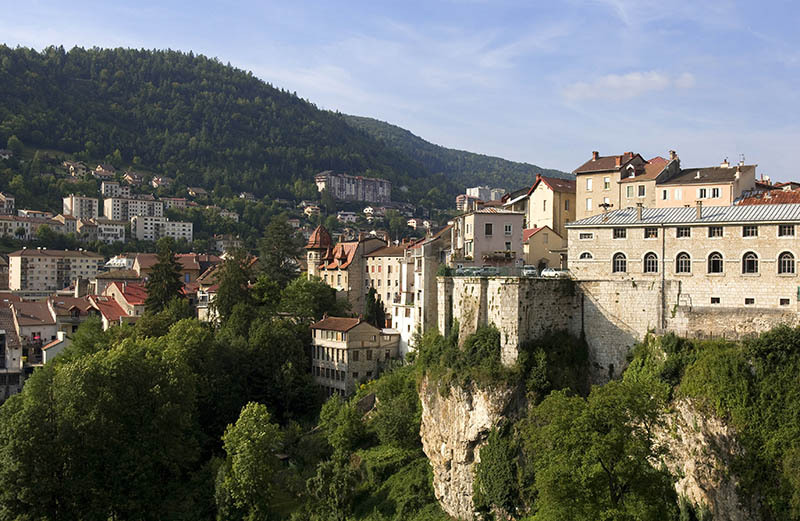 From north to south, the famous GTJ (‘Grande Traversée du Jura’) crosses all the Jura mountains. 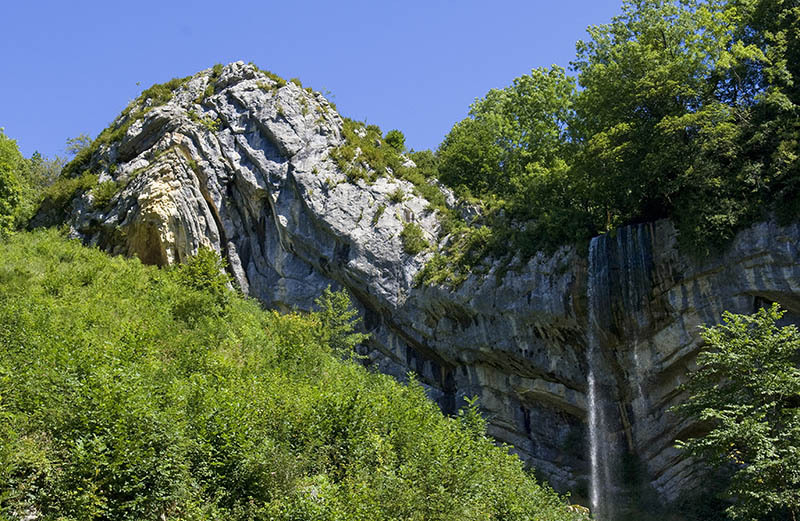 In this natural and sporting paradise, and in the heart of unspoilt surroundings, this hike takes you on border and gourmet trails between Morbier and Saint-Claude. 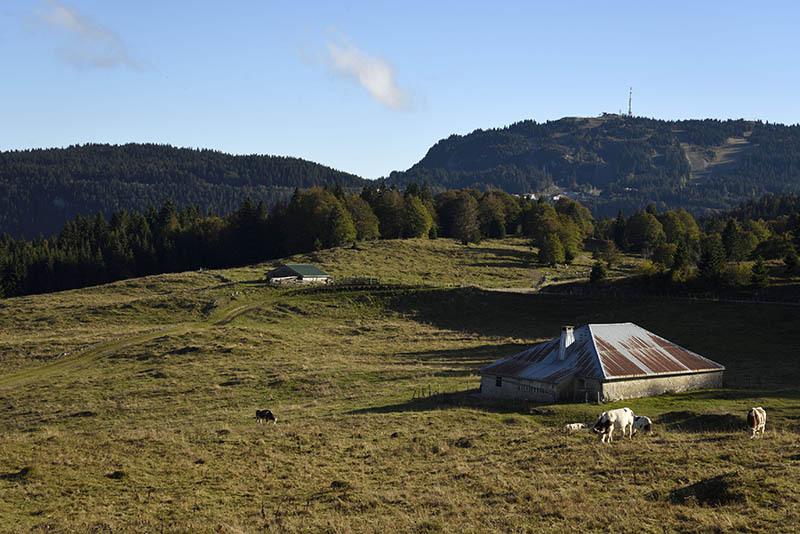 Mystical forests, sunny peaks, remote and spectacular villages with character… This 3-day route offers you a glimpse of Jura, with the bonus of a Swiss ambiance! 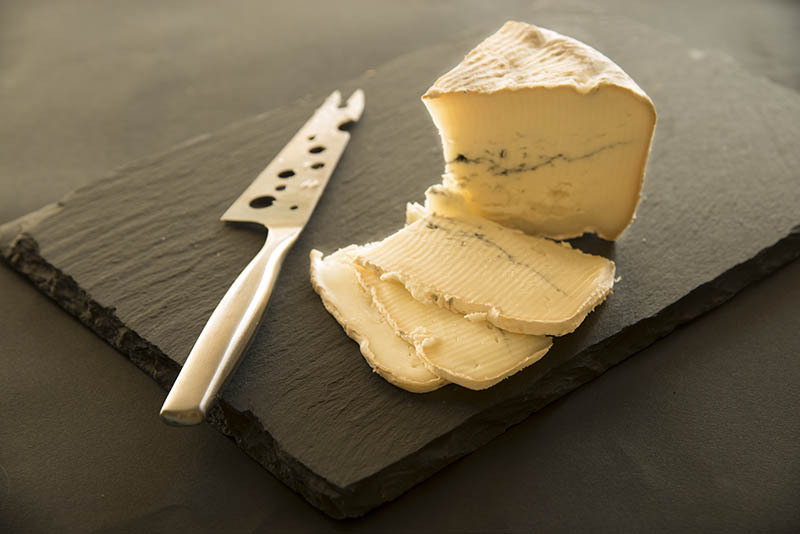 MyTripTailor Tip : A TER connects Saint-Claude to Morbier in just over an hour: convenient for the return to your starting point. 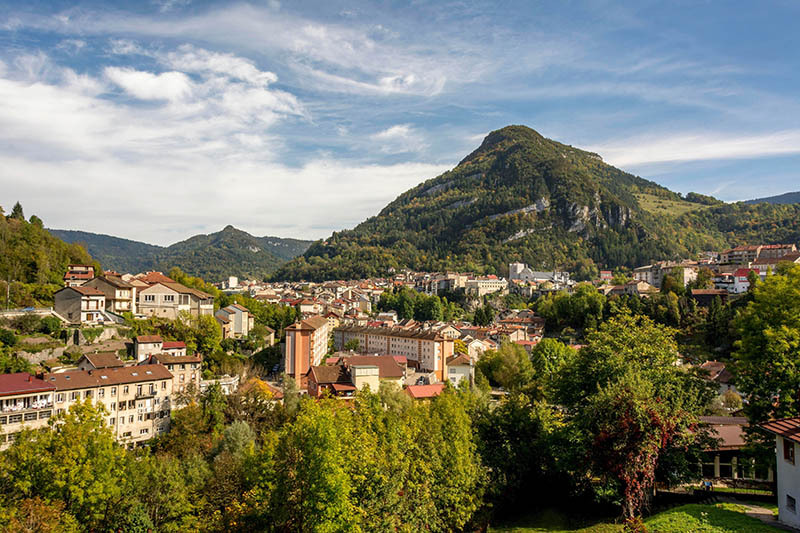 From Morbier train station, join the GTJ route to Bellefontaine, taking in the Col de la Bucle which overlooks the small town of Biel/Bienne nestled in a meander. Next, drive into the mysterious Forest du Risoux to reach the Crêt des Sauhes. 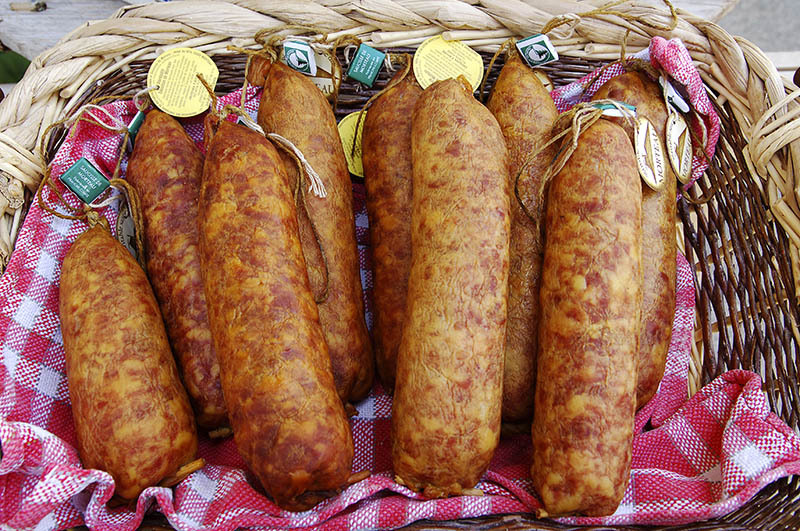 Be sure to pass by Fort de Risoux to admire the view of the Lac des Rousses and... the nearby Alps! 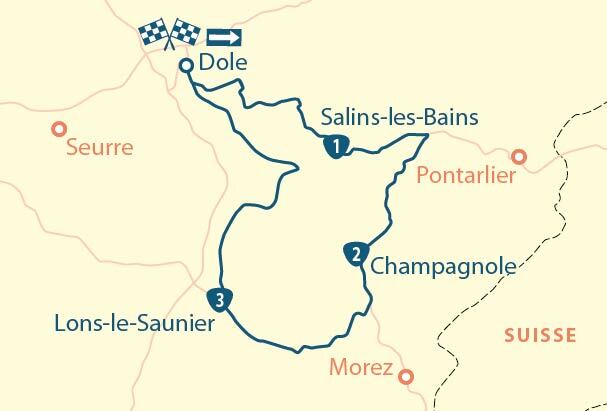 Travel down to the village of Rousses for your overnight stop or push on to Cure, for a night on the border! 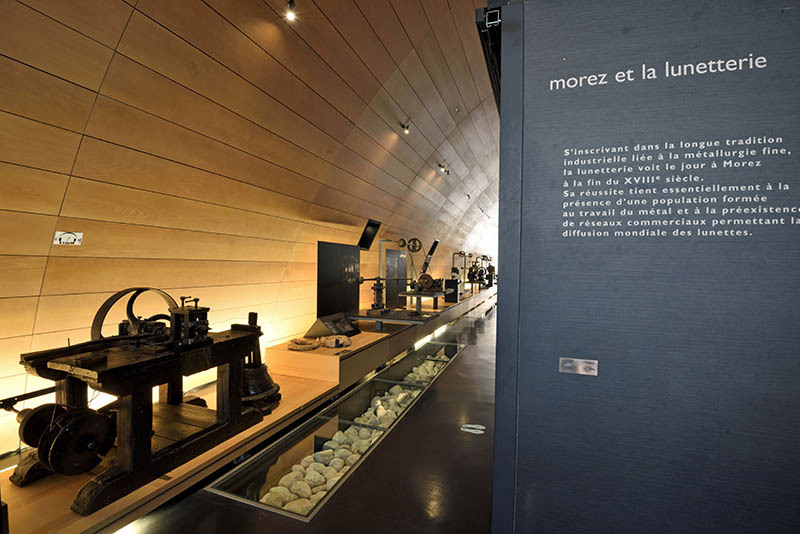 Mytriptailor: Before leaving, don’t forget to visit the Glasses Museum in Morez, French capital of the pince-nez. 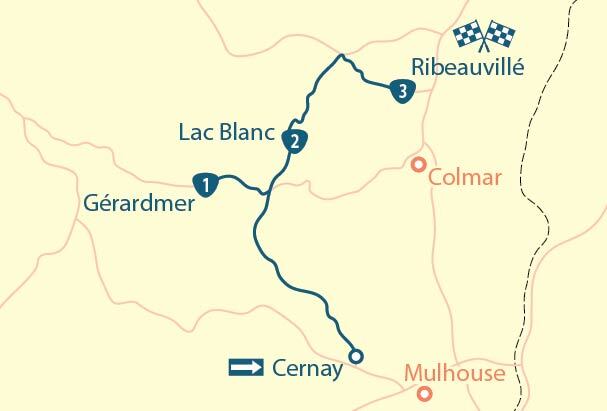 This 100% GTJ stage connects Les Rousses (or Cure) to Lajoux through the Forêt du Massacre. No trace of exaction here, it’s actually a reference to two battles lost by François 1st against the Savoyards and Italians in the sixteenth century. The course follows the ridge line and offers sublime panoramas over the Valserine Valley and the Alps (particularly Crêt Pela – 1,495m). 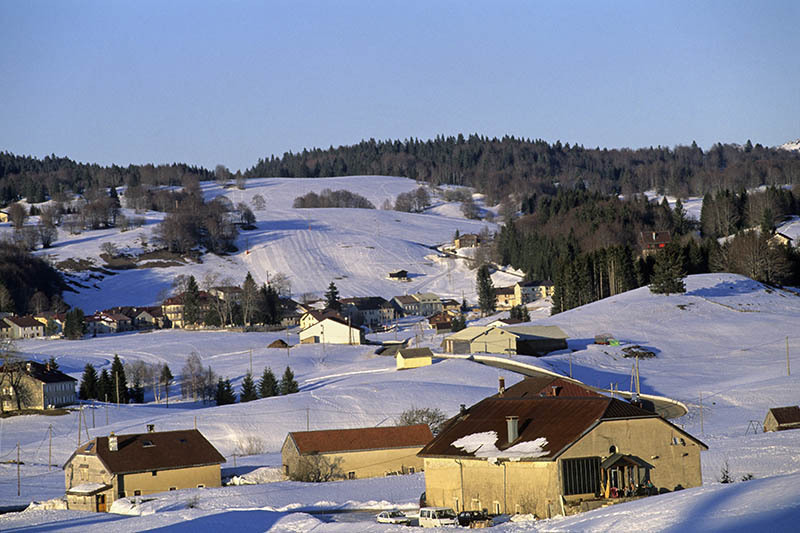 Without any real difficulty, you can make your way on to one of the most beautiful Nordic skiing areas in France, before joining Lajoux, a memorable stage of the route with its fromagerie, its artisans and its park house of the Regional Natural Park of Haut-Jura. 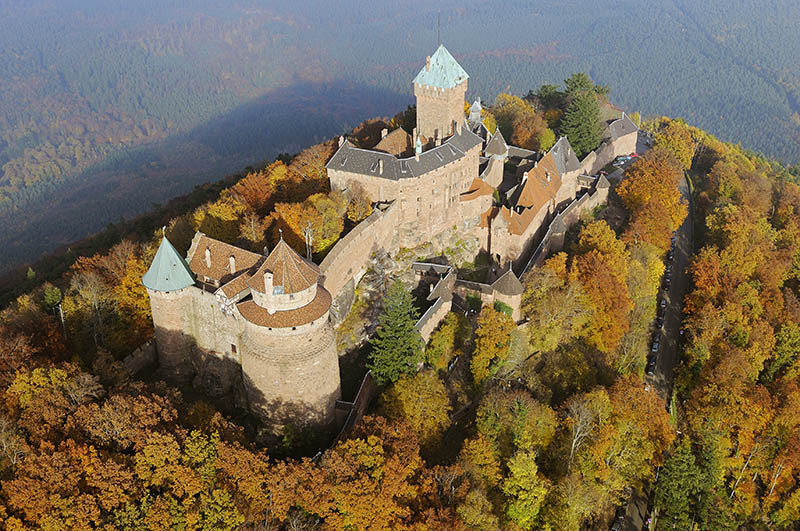 Mytriptailor Plus: Before you leave, take a look at Fort des Rousses, one of the largest in France! 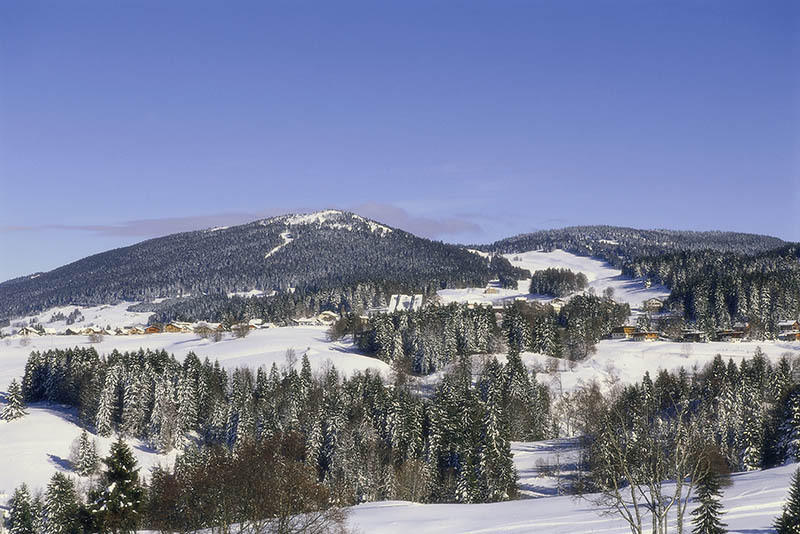 Roam the windy footpaths of the Molunes plateau, dotted with passages covered with spruce. After a few kilometres, you leave the GTJ in the hamlet of Pré-Coquet, in itself a nice surprise. Heading down towards the valley, you can admire the views from the Belvédère de Roche-Blanche, from where you can see the Flumen gorge and waterfalls, overlooked by the « Chapeau de Gendarme » (Gendarme’s Hat). All the more exceptional as the view extends to Saint-Claude, your destination. The final descent runs through forest before you reach the Vallée du Tacon. 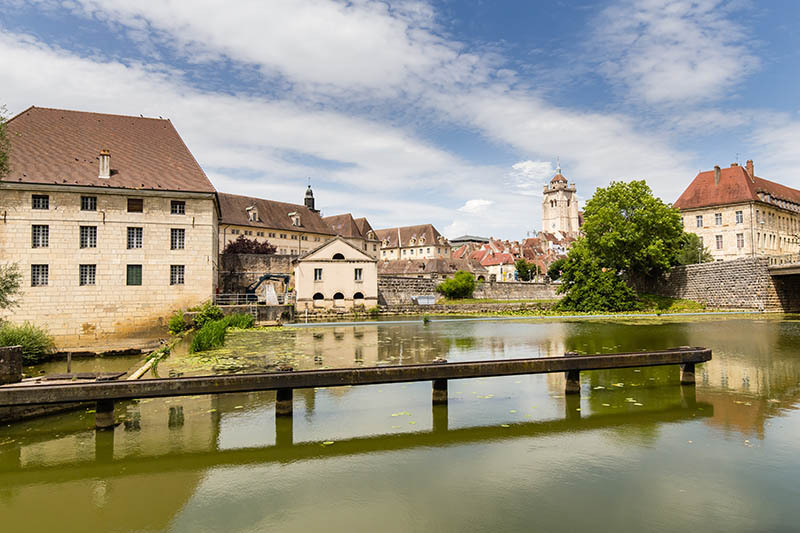 Mytriptailor Plus: Take time out to enjoy the exceptional site of Saint-Claude. 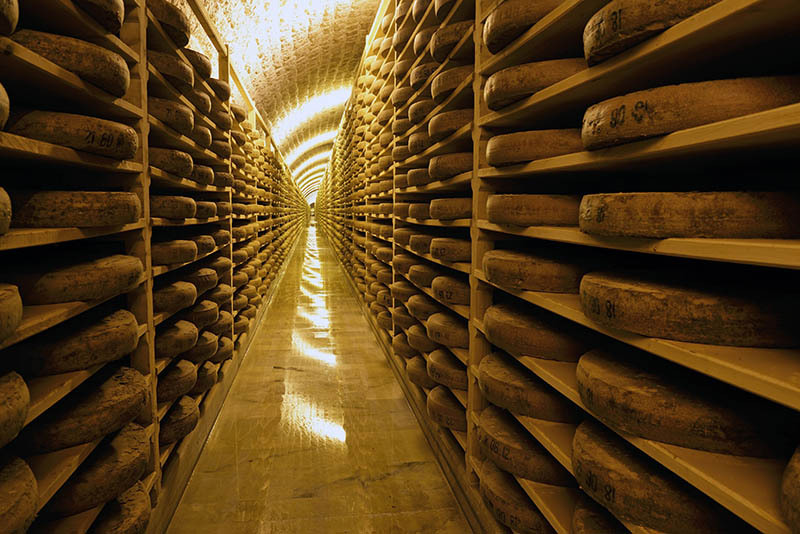 Besides the famous pipe, the city is full of treasures from its medieval past. 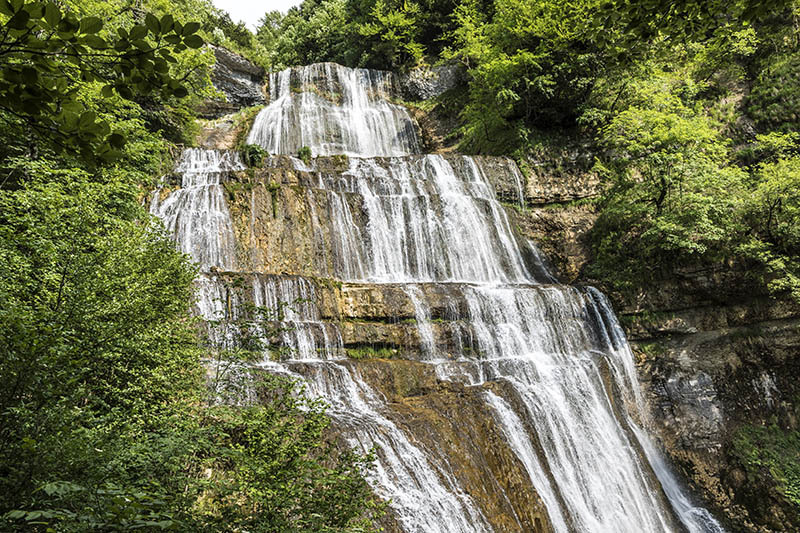 The GTJ from Morbier to saint-Claude – a 3 days mountain hike in Jura offered by MyTripTailor, the specialist in self-guided trips. Customize the stages of your tour and choose your accommodation, services and activities, there and then and in one go! * Price incl. VAT based on 2 people occupying the same room and for the length of stay specified in the offer details. The price “from” corresponds to the best available rate for 2 persons subject to availability and under certain conditions (minimum nights and / or other conditions indicated in the offer detail).